(Sanskrit for 'great soul' or 'venerable'). 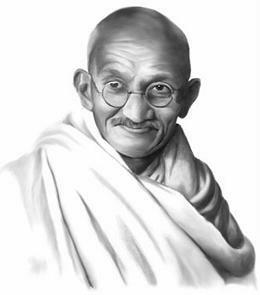 He established the principles of non-violent protest & revolution and liberated the country of India from British colonial rule. Links are provided below for further investigation. connected with the revolutionary "Working Minds Philosophy of Empowerment" created by G.E. Nordell. “When I despair, I remember that all through history the way of truth and love has always won. "If you don't find God in the next person [that] you meet, it is a waste of time looking for him further."